Welcome to Tysons West Orthodontics & Children’s Dentistry, where our goal is to provide the best orthodontic treatment in our nation’s capital metropolitan area. Our priority is to deliver the highest quality care in a comfortable and convenient setting for all of our patients. The importance of having an experienced healthcare provider who listens, responds, and knows his field can never be overstated. Visiting an orthodontist who can effectively diagnose and treat your needs should always be your first concern. Dr. Alhussain is an orthodontic specialist who serves children, teens, and adults. An orthodontist is a dentist who has received additional advanced specialty training for 2 to 3 years beyond dental school. Although some general dentists do orthodontics, they are not specialists in the field. When you visit T.W.O., you benefit from a dedicated team that provides you with the professional and individualized care you deserve as a patient. Situated in the very popular and fast-growing Tysons Corner area of Northern Virginia, we are located on Route 7/Leesburg Pike at the Dulles Airport Access Road, immediately adjacent to Tysons/Spring-Hill Road Metro Station (Silver Line), offering convenience and accessibility. Dr. Alhussain believes that informed patients are better prepared to make decisions regarding their health and well-being. Spending time with patients and answering all their questions is essential for him as a care provider. We are proud to the be the first office in the nation to use the Pax-I3D Green CT imaging system. 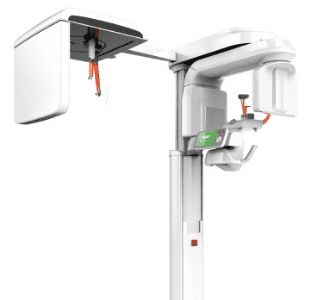 This revolutionary piece of equipment provides the highest quality 3D images using low-dose x-rays, which reduce radiation exposure by up to 60% ensuring the safety of our patients. This remarkable device is also eco-friendly and FDA approved for pediatric use. We strive to cater the best quality orthodontic care that fits your budget with a variety of flexible payment plans. At T.W.O., we understand the importance of exploring different opinions on your orthodontic treatment. This is why we encourage you to ask for our free consultation in order to receive as much information as possible. As a previous faculty member at multiple universities, Dr. Alhussain remains committed to the advancement of research in the field of dentistry and orthodontics. He has published various articles on topics associated with orthodontic care, such as sleep apnea and impacted canines in Health Magazine and New York Dental Journal. He has also been a lecturer in several Seminars and Conferences and regularly attends numerous continuing education programs featuring the latest advancements in science and technology, which allows him to stay up to date with new knowledge and innovations in the field of orthodontics. We aim to look to the future by using early orthodontic treatment, when appropriate, to help avoid the need for extractions or orthognathic surgery later on. We serve the communities of Fairfax, Falls Church, Vienna, Tysons Corner, McLean, and all other DC Metropolitan Areas.